On June 22nd, 2018) Milford Police arrested Ricardo Espinoza Jr, age 37, of Milford. According to police reports, Espinoza was charged with battery and resisting arrest after police were called to a disturbance in the 100 block of South New St. in Milford. Espinoza was transported to the Iroquois County Jail where he posted the required bond and was released. On June 24th, 2018, Sheldon Police arrested Brandon J, Wood, age 34. 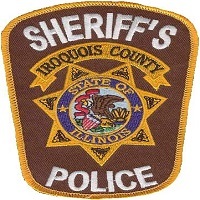 According to police reports, wood was wanted on an outstanding Iroquois 'County Warrant charging him with failure to appear for driving while license revoked. He was transported to the Iroquois County Jail where he remains in lieu of bond.